« Yeah, we’re up and pitching. 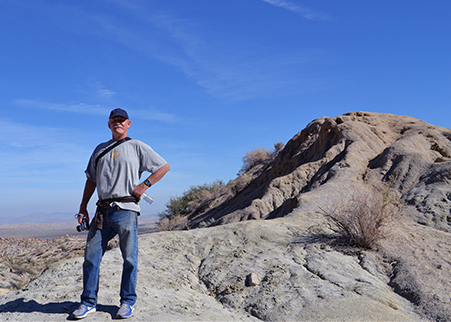 A month ago my brother and I went out to the Anza Borrego Desert. We stopped at a place not far from the old Butterfield stage line and the equally ancient Immigrant Trail used by the gold rush miners on their way to riches. 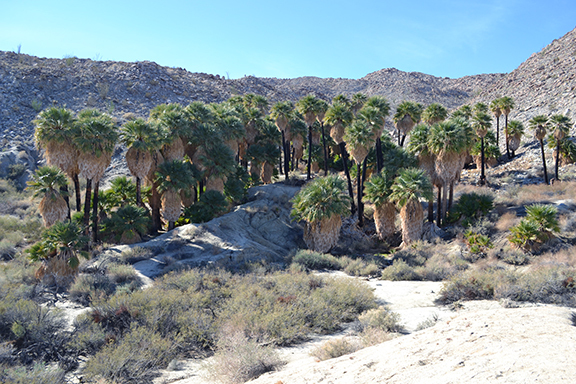 This place is called Desert Palms. Old Indian trails from the mountain behind lead into this oasis. The trails are hundreds of years old. The palms are watered by a constant running natural spring. Animal signs are all over the site. The weather was in the high seventies, perfect that day. Juan Bautista de Anza passed by a little to the north through Coyote Wash. He was on his way to the mission San Fernando in the valley of the same name. He made two trips, one in 1774 and 1775. On his first trip he left San Fernando and met Fra Junipero Serra in Carmel. When he made his second journey he guided settlers on the same route and scouted a great inland harbor and founded San Francisco.